Grand Rapids, MI: Fleming H. Revell Co., 1994. Book. Very Good+. Soft cover. Second Printing. 192pp. 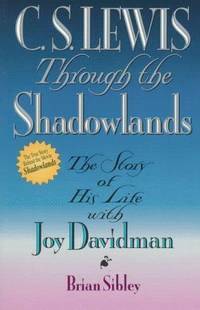 The story of the love between Christian author C. S. Lewis and Jewish-American divorcee Joy Davidson. Very Good. Boston, MA: Little, Brown, 1990. Book. Very Good. Hardcover. First Edition. 8vo - over 7¾" - 9¾" tall. 319pp, Illustrated with b&w photos. How a band of mavericks changed the face of television news. 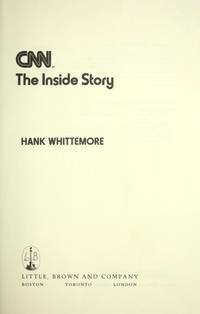 The inside story of how CNN was launched in 1980. Clean and tight with no marks. Very Good. NY: HarperCollins, 1995. Book. Near Fine. Hardcover. First Edition. 513pp, illustrated. Translated from German by David McLintock. 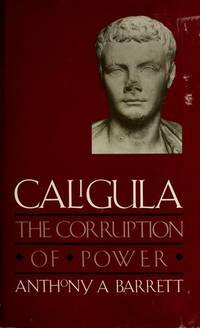 A biography of Julius Caesar. Near Fine. Penguin, 1981. Book. Very Good+. Paperback. 12mo - over 6¾" - 7¾" tall. 202pp, Former owner's name on inside front cover. No other marks, no tears. Also known as "The Skeleton in the Cupboard"..
New Haven, CT: Yale University Press, 1989. Book. Near Fine. Cloth. 8vo - over 7¾" - 9¾" tall. 334pp, Illustrated. Orange cloth with no dustjacket. No marks or tears. 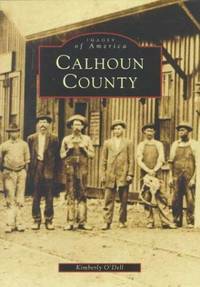 A very nice clean copy..
Bessemer, AL: Colonial Press, 1987. Book. Very Good+. Hardcover. First Edition. 601pp, illustrated. Gray cloth. Some shelf wear. Very Good+. Seattle, WA: Double A Publications, 1985. Book. Very Good. Hardcover. Signed and Inscribed By Author. Money and how it rules the world. 325pp, illustrated. Very Good. NY: Tor/Tom Doherty, 1993. Book. Near Fine. Hardcover. 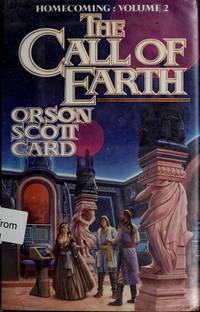 First Trade Edition. 8vo - over 7¾" - 9¾" tall. 304pp. The computer controlling human minds grows weak and must be returned to Earth for repairs. Near Fine. 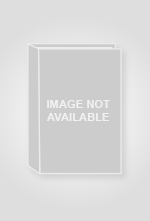 Cambridge, UK: Cambridge University Press, 2003. Book. Very Good+. Soft cover. 8vo - over 7¾" - 9¾" tall. 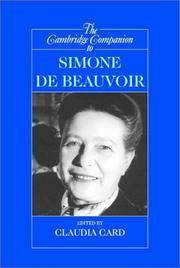 336pp, Fourteen essays on the work of French philosopher Simone de Beauvoir. No marks or tears..
UK: Cambridge University Press, 1996. Book. Near Fine. Hardback. 4to - over 9¾" - 12" tall. 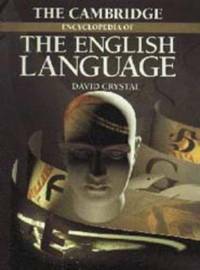 489pp, Profusely illustrated history of the English language, with examples of dialects and regional differences. Includes examples of Old and Middle English. No marks or tears. A very nice copy. Large and heavy..
Camel to Moses. 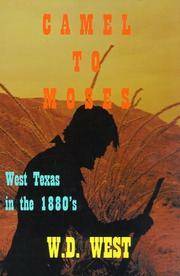 West Texas in the 1880s. Jacksonville Beach, FL: High-Pitched Hum Publishing, 2006. Book. Very Good. Soft cover. 8vo - over 7¾ - 9¾" tall. 397pp, 2006. Softcover. Bright and clean with no marks or tears..
Boston, MA: New York Graphic Society, 1976. Book. Very Good-. Cloth. Revised Edition, Second Printing. 8vo - over 7¾" - 9¾" tall. 304pp, illustrated with b&w photos. Volume 1 of Adams' 5-volume series on photography. Cover and text are clean, but the DJ is chipped and worn. Very Good-. Ridge Press, 1979. Book. Very Good. Hardcover. 240pp, profusely illustrated. 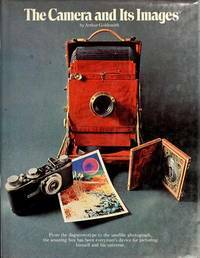 The story of the development of cameras and photography. Very Good. Americus, GA: Good Image Printers, 1989. Book. Very Good+. Linen. Signed by Author(s). 4to - over 9¾" - 12" tall. 56pp, Photos and chronology of Andersonville prison. Signed by the author on the title page. No marks or tears..
NY: Mallard Press, 1991. Book. Very Good+. 546pp. Porter was one of Grant's generals in the US Civil War. Very Good+. Westport, CT: Praeger Publishers, 2006. Book. Very Good+. Soft cover. Third Edition. 8vo - over 7¾" - 9¾" tall. 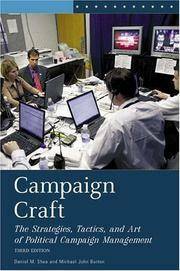 235pp, 2006, Softcover. No marks or tears except a black "X" on the first page. Still a nice copy..
NY: Delacorte Press, 1972. Ex-Library. Good-. Hardcover. 8vo - over 7¾" - 9¾" tall. Ex-library with copyright page removed. Dustjacked taped to covers. No other marks or tears..